APPEAL COURT CONFIRMED LEGITIMACY OF FAS WARNING TO LUKOIL-ASTRAKHANENERGO LTD.
APPEAL COURT CONFIRMED LEGITIMACY OF FAS WARNING TO “LUKOIL-ASTRAKHANENERGO” LTD.
On September 1, Vladimir Putin will visit the Sirius Educational Centre in Sochi to meet with winners of international student competitions of the 2017−2018 academic year, as well as teachers and instructors. The President will hear about the innovative projects at the Sirius research labs and chair a meeting of the board of trustees of the Talent and Success Foundation. The Sirius Educational Centre was opened on September 1, 2015 in Sochi by the Talent and Success Foundation on the basis of Olympic infrastructure and at the President’s initiative. The President became chairman of the foundation’s board of trustees. 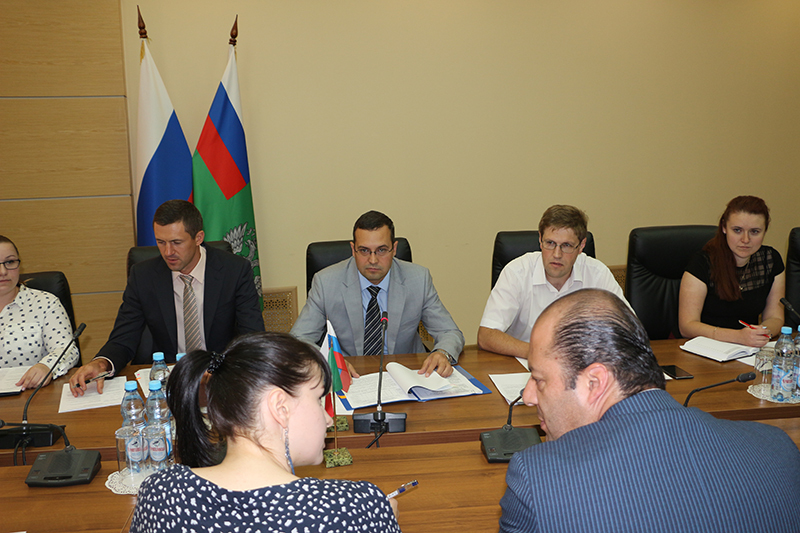 The centre receives the support of the Ministry of Science and Higher Education, the Ministry of Sports and the Ministry of Culture. Sirius is involved in early discovery, nurturing and professional support of young talents who have demonstrated outstanding abilities in art, sport, natural sciences, and who have achieved success in technical creativity. On September 1, Vladimir Putin will meet in Sochi with President of the Republic of Azerbaijan Ilham Aliyev, who will be in Russia on an official visit. The two leaders will discuss key issues on the bilateral agenda, including the prospects of further developing mutually beneficial trade and economic cooperation. They will also exchange views on the international and regional agendas. A number of intergovernmental and interdepartmental documents will be signed following the talks. Mechel Group’s sales subsidiary Mechel Service OOO supplied 700 tonnes of rebar for construction of Moscow’s Central Ringroad. Izhstal PAO (part of Mechel Group, MOEX: IGST) passed a re-certification audit for its quality management system’s compliance with the international ISO 9001:2015 standard. This certificate improves the plant’s competitive advantages both domestically and internationally, enables it to receive state orders and supply critical duty products to automobile, aviation, engineering and shipbuilding companies. Vladimir Putin has expressed his deepest condolences on the passing of singer and National Artist of the USSR Iosif Kobzon. In addition to his singing career, Iosif Kobzon played an active role in politics, public work, charity and business, and he was also a teacher. Iosif Kobzon passed away on August 30 at the age of 80. During the telephone conversation, Vladimir Putin offered his warm greetings to the President of Belarus Alexander Lukashenko on his birthday. The two leaders discussed several topical issues on the bilateral agenda, including the schedule of upcoming top-level contacts. Earlier, Vladimir Putin sent birthday greetings to the President of Belarus. “It is difficult to overestimate your contribution to the development of the friendly alliance between our countries. To a large extent, it was your personal efforts that supported the course of our bilateral cooperation, which became more constructive and mutually beneficial and now has a positive impact on many different aspects of life in Russia and Belarus. Vladimir Putin congratulated animation film director and artist Leonid Shvartsman on his 98th birthday. “You have won recognition as a talented director and artist. Throughout the years of your fruitful work, you have done a great deal to promote animation in our country, adding new masterpieces to Soyuzmultfilm’s unique heritage. Leonid Shvartsman worked for Soyuzmultfilm Studios for more than 50 years, creating dozens of popular animated films. He was awarded the Presidential Prize for Writing and Art for Children and Young People. 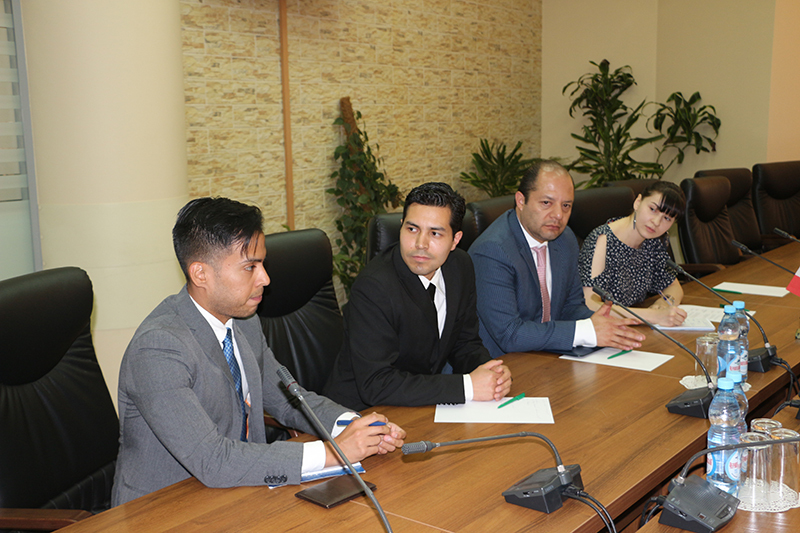 The Rosselkhoznadzor representatives held a meeting with the Federal Commission for the Protection against Sanitary Risks (COFEPRIS) of Mexico on August 29, 2018 in Moscow. 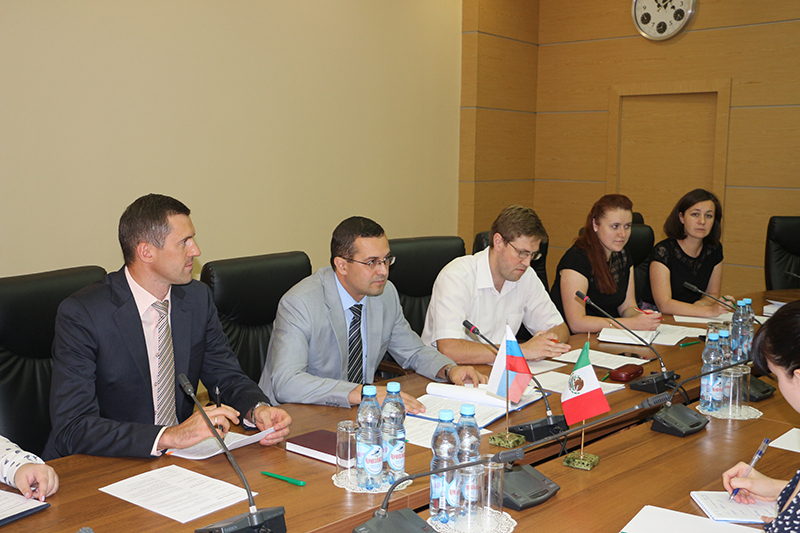 The meeting was also attended by the representatives of the Embassy of Mexico in the Russian Federation and the Ministry of Agriculture of the Russian Federation. The parties discussed actual issues of mutual supplies of fish and seafood. 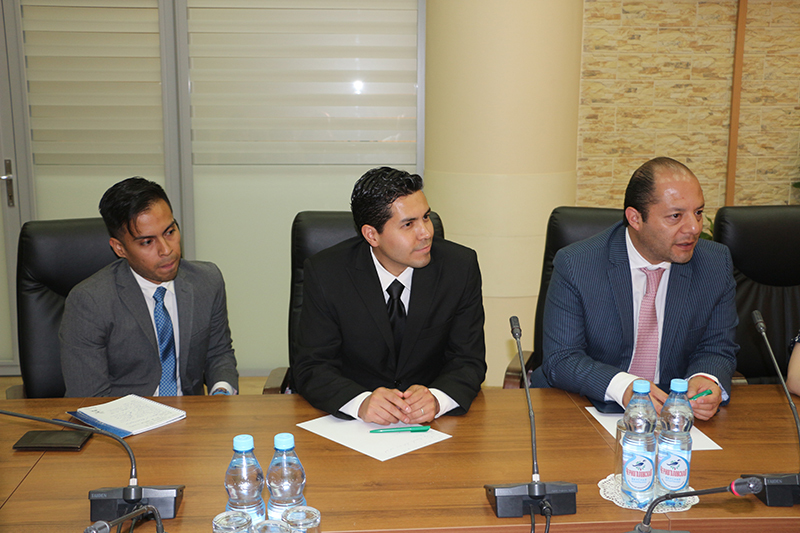 The Mexican side informed that in response to repeated requests of the Russian side, the information on Mexican import requirements for such products will be sent to the Rosselkhoznadzor in the shortest time. The Rosselkhoznadzor noted that comments on the preliminary report prepared by the Service based on the results of the inspection of Mexican enterprises are expected from the Mexican side. During the visit to Mexico in December 2017, the Russian specialists assessed the operation of aquaculture farms, companies producing fish and seafood, and visited veterinary laboratories. Based on the result of the audit the report was prepared; it was sent to COFEPRIS via the Embassy of Mexico in the RF in May of this year. In conclusion, the parties expressed hope for effective cooperation between the two authorities, which will contribute to the development of trade and economic relations between Russia and Mexico. On June 16, 2018, the Government submitted to the State Duma a draft law on reforming the pension system, and on June 19, the draft passed its first reading in Parliament. The law’s main purpose is to ensure that the pension system remains sustainable and financially sound for years to come. This means not only maintaining incomes and pensions at the same level, but also increasing them for current and future retirees. It is for achieving these goals that the draft law envisages a gradual increase in the retirement age, along with a number of other measures. I do understand how important and serious these matters are for millions of people, for every person. For this reason, I decided to speak to you directly, in order to explain every aspect of the changes the Government is proposing. I will also share my perspective and proposals that I believe to be essential. First of all, let me remind you that the debate on the need to increase the retirement age has not come out of nowhere or all of a sudden, and did not start today. This issue was discussed back in the Soviet times, as well as in the 1990s. However, the decisions were not taken, but were delayed for various reasons. In the early 2000s, Government members, as well as many experts insisted that the pension system needed to be reformed and the retirement age raised. These changes had objective grounds. It was obvious that by about 2020 we would inevitably face serious demographic challenges. What caused them? Every 25 to 27 years, a significantly lower number of people in Russia enter adulthood, when they can start families and raise children, than there could and should be. This is due to the grave demographic loss of the Great Patriotic War, which includes not only direct losses but also millions of people who were never born during the war. The mid-1990s were a period when another small generation entered adulthood. It was at that time that the country also faced the harshest economic and social crisis and its catastrophic consequences. This led to another powerful demographic collapse. Even fewer children were born than we expected. The demographic pit of the late 1990s was comparable to 1943 and 1944. Now, that low-numbered generation born in the 1990s is entering the active working age. This is putting even more pressure on the pension system, which is primarily based on the pay-as-you-go principle. That is, the pension contributions of the people who work are used for payments to the current pensioners, the generation of our parents. Our parents, when they worked, contributed to the pensions of our grandparents. The conclusion is clear. The active working age population is decreasing, along with our capability to pay and adjust pensions for inflation. Therefore, changes are necessary. I opposed them in the 2000s. I spoke about this both in private meetings and in public. For example, during a Direct Line broadcast in 2005 I openly said that no such changes would happen until the end of my presidential term. In 2008, when I left the presidential post, the basic provisions of the pension system were fully preserved. Now I believe that at the time my view was economically feasible and socially fair and justified. I am certain that raising the retirement age in the early and mid-2000s would have been absolutely wrong.